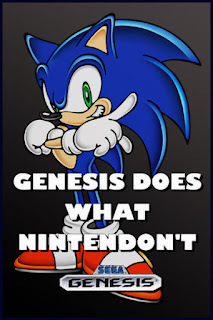 “Genesis does what Ninendon’t” was a fairly iconic phrase seen in advertisements for Sega Genesis titles in North America during the early-1990s. Even if you weren’t a Sega fan, you likely recall that slogan and some of the ads it ran on. Despite people having a passion to talk about the console wars that have been going on in the post-2000 era (particularly between Nintendo, Microsoft, and Sony), it’s still quite possible that the battle between Nintendo and its primary rival Sega from the late-1980s through the 90s was even more bitter. As a kid, I grew up more with Nintendo consoles as I’m sure a lot of people did. My parents purchased a Nintendo Entertainment System, bundled with the original Super Mario Bros. plus Duck Hunt cartridge, back when the system was brand-new. Although I’m sure they knew it was something that I’d probably like (despite me being in pre-school at the time and therefore quite young), I think they also bought it because they thought they would like it too. It didn’t take long for us to build up a pretty sizeable collection of NES titles, ranging from classics like the original Legend of Zelda, Dragon Warrior (the first real RPG I ever played), Mega Man 2, The Adventures of Lolo, and many other mainstream as well as odd-ball titles (The Adventures of Dino Riki anyone?). Then, in Christmas of 1991, I got a Super Nintendo as my main present. Thinking back on it, though, I realized that it wasn’t until around the time I got a Super Nintendo that I really became aware of Sega’s presence in the market. I recall my first real experience with it being me playing Sonic the Hedgehog on a Genesis that was set up in a local Sear’s store while my mother did some shopping, and, later, I would play a few Sega games at a friend’s house. What’s interesting though is that long before that, Sega had made its entry into the North American market with the Sega Master System (which came to the U.S. in September of ’86). Some people have since joked that the Master System was like the “poor man’s Nintendo Entertainment System,” but Sega’s 8-bit offering actually had a pretty substantial library of quality titles. Games like the original Phantasy Star, Alex Kidd in Miracle World, Wonder Boy III: Dragon’s Trap, and many more became very popular amongst owners of the console. 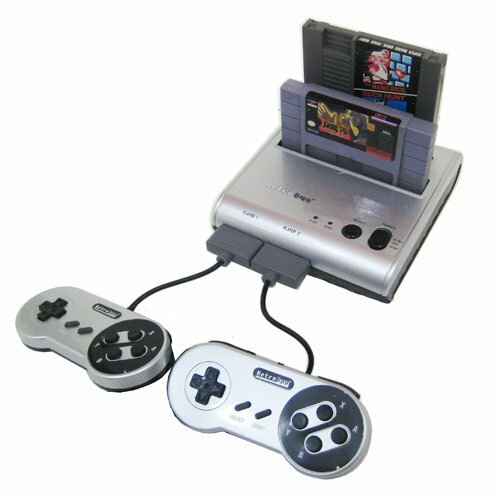 However, in spite of the system selling decently well (at around 10-13 million units worldwide), compared with the NES / Famicom’s 62 million it was not nearly as popular. Part of this is due to Sega being very big on arcade ports and the like and that Alex Kidd was a lot less recognizable as a mascot than Nintendo’s own Super Mario was. 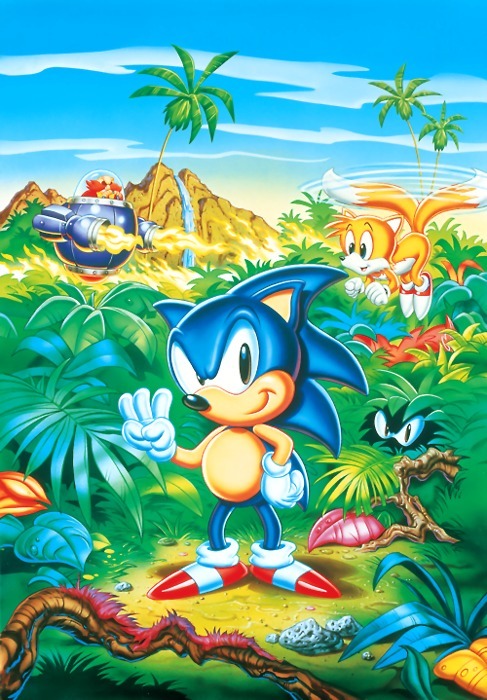 Really, I think it took the release of the original Sonic the Hedgehog and Sonic becoming the system’s mascot in 1991 for Sega to really start making a wave on people’s radars. Sega, though, was an innovator throughout the 1980s and 1990s. The Sega Genesis / Mega-Drive was perhaps first on the scene of the 16-bit era, debuting back in 1988. Sega also pushed the envelope with the release of the Sega CD and later the Sega 32X (both of which were vastly undersold due to expensive development costs and a high price point). Then, in 1998 the Dreamcast released in Japan, kicking off an early entry into the generation of consoles that would later include the PlayStation 2, GameCube, and Xbox. But Sega rarely cashed in on its innovation. Sure, it was first onto the scene in several different spots, but because of this many game developers were still making titles for the more popular PlayStation or Nintendo 64 (which didn’t do nearly as well either, but still held its own) because that’s where the money was and because development costs were likely lower. Although the Dreamcast had some technically-impressive titles like Sonic Adventure and the fantastic RPG Skies of Arcadia, the system was functionally dead in the U.S. by 2002. That amazing flop would mark the company’s final foray into the console market (at least as of this article). For me, I didn’t end up getting a Sega Genesis system until much later in the console’s life in 1994, when Sonic the Hedgehog 3 was the packed-in game. On the plus side, by then the system had a pretty staggering library of titles and many of them could be purchased rather inexpensively, so catching up wasn’t a problem at all. It also made Christmas wish lists easy to come up with. Yet, it was even later when I finally picked up a Sega Master System. I didn’t get one of those until I was a college student, purchasing a Master System and a batch of 27 titles off of eBay in 2004. I then spent some time working on collecting some of the more interesting releases, such as the Master System ports of the Sonic the Hedgehog titles, any Wonder Boy games that I didn’t have yet, and the rather rare TecToy version of Sonic Blast (which wasn’t released in Brazil on the Master System until 1997!). The interesting history of TecToy, which was a Brazilian publisher and distributer of Sega products long after most systems were long dead, will have to wait until a future article. For what it’s worth, though, TecToy is still in business today, producing variants of the Sega Mega-Drive that come pre-loaded with a large variety of titles. But for this Nintendo fan, my history with Sega was a bit unique. It wasn’t that I disliked the company, but rather that I wasn’t really fully exposed to them until I was a bit older and I didn’t really start collecting titles for systems like the Master System until I was a young adult. Others, I’m sure, may have grown up more in a Sega household, yet I still think that there are far more of us that grew up with Super Mario Bros. and The Legend of Zelda than those that did with Sonic the Hedgehog. Still, I’d be curious to hear more from the other side because I’d find it quite interesting.